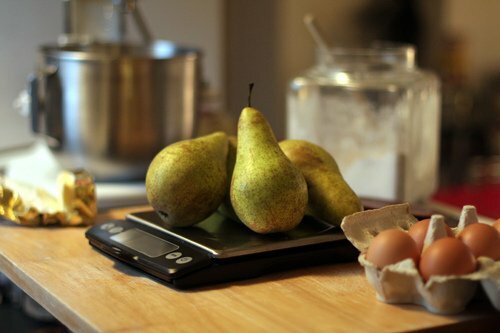 When I moved to France way back when, one of the first things I set out to buy was a kitchen scale. Kitchen scales are not difficult to find in Europe because most of the countries use weights for baking and in every other type of recipe. 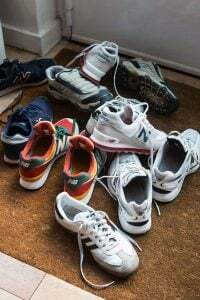 In spite of their ubiquity, it was hard to find a scale that measured in both in grams and kilos as well as ounces and pounds. Since few use those standards of measurement in Europe, even kitchen scales that I’d used in America would have a little toggle switch somewhere on them (often on the underside) to shift back and forth between ounces and grams. But whenever I looks at scales in Europe, there was invariably a gaping hole where that switch would be. Flash forward to nearly a decade later, and I’ve been through a few kitchen scales over the years. The few I found here that weighed in both grams and ounces didn’t last, and the ones I brought back from the states would last just a few months, and then start to suffer from mishaps like fading LED displays, batteries mysteriously dying (and always when I didn’t have back-up batteries on days like Sunday, when the stores in Paris are closed—of course), or other tare-related maladies. I finally buckled up and bought an Oxo scale, and as soon as I switched it on and started using the scale, I fell in love with it. It switches easily between metric and standard measurements without having to flip it over, which is a good thing for those of us who are converting recipes as we don’t need to remove what’s on the scale to change it. It has an auto shut-off, and if it turns off when you’re working with it, a touch of the off/on button turns it back on and remembers where it was. An added bonus is that you can illuminate the screen in case you want to bake something while everyone else in your apartment is sleeping and you don’t want to wake them up. Lastly, if you’re not convinced, of utmost importance is that cooking and baking with a scale is a lot less dishes to wash since you can do most of the weighing in one bowl, or even right in the same pan you’ll be cooking in. Curiously, people are often scared of scales, and baking whiz Alice Medrich recently wondered aloud how people could be terrified of a kitchen scale when they’re all using smartphones. Since I brought this terrific scale, like my stand mixer, whisks, and an arsenal of spatula spoons, it’s become an essential tool in my kitchen—day and night. I have a set of Karen’s Nana’s scales! I don’t know how accurate they are but they were a gift from my mother and come originally from Scotland. I have little weights in both imperial and metric and I love my brass and black antique, both using it and how it looks in my kitchen perched upon my shelf of cookbooks. 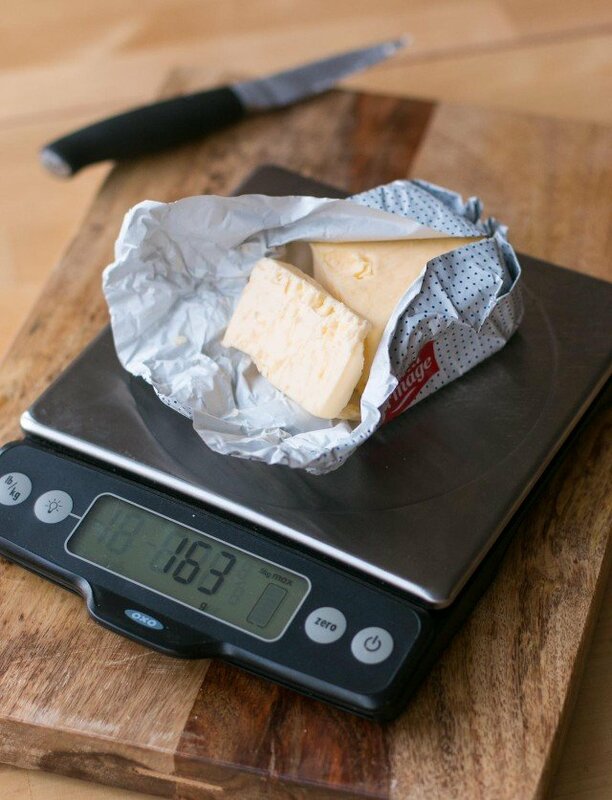 Glad you found a scale you love to use, so we can all enjoy your recipes more easily. I have an OXO scale now, too. I really like the pull out digital reader. I don’t need a scale most of the time because I’m a home cook and do not need the precision that a professional cook needs and I live in the US and own mostly American cookbooks that use volumn measures. I bought it because there are some recipes where I need to divide batters into separate pans for baking, eyeballing some of those just doesn’t always produce the final product I want.. Plus..since I’ve been getting more interested in European recipes online, I’m able to make those as well. Everyone who really likes the option of cooking anything from anywhere should have a good scale. It’s interesting that people are scared of scales, or don’t have one. If you’re a baker, that’s the only way to portion out chocolate (and we don’t want to miss out on chocolate, do we?) Plus with the internet, and the global reach of recipes, it’s a shame to miss out on being able to make so many of them. Scales are relatively inexpensive and I bought a few cheaper ones before I landed on this one, and I’m really happy with it. I recently started using my scale, that had sat in it’s box, for quite some time. It is so much easier than stirring up the flour, spooning it into a cup, leveling it off with a knife and dumping into a bowl. With scale, just dump into bowl, done. I became a convert to scales back when I started working in test kitchens at Land O’Lakes & General Mills in my pre-France days. I couldn’t believe how much one cup of flour could vary depending on how you scooped it in, how you leveled it, if you tapped it to let it settle, etc. Which is why we always had to make each recipe a minimum of three times – one with the normal weights, one with more liquids/less dry and one with less liquids/more dry. We basically had to do everything combination possible to make sure the recipe was still successful, otherwise people would call the 1-800 number and complain. 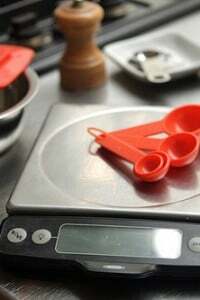 Using a scale takes all the guesswork out of it, and like you said, has the added benefit of less clean-up afterwards. Like you I needed a scale that weighed in both grams (for continental recipes) and ounces (for the UK recipes), I settled for the Philips as well not traveling to the US needed something available in Europe. I used to have that scale and it was good. (And is one of the few that measures in both metric and standard.) But it eventually conked out – which is when I went through a slew of other ones, until I settled on mine. I have a Salter digital scale which has a button for both metric and imperial. I use it almost everyday and can’t imagine cooking without one. I bought mine in Australia possibly 10 years ago now and it’s still going strong, despite the daily use. Touch wood that it will last another 10 years. I too have come to love using a scale. When I bought mine in Denmark I was so happy to discover that it could do grams and pounds. I was less happy when I realized it measured in hundredths of pounds. .82 pounds is not really a useful measure so I end up converting to grams anyway. We moved to the UK 3 years ago and that’s when we purchased a scale. We hadn’t ever had to use one in the past but have learned to use it here. It has it’s benefits as we find it easy to use and how it switched between imperial and metric by pressing a button. Sadly we have a very small kitchen and counter space is a premium so we had to be creative with where to store the scale. It’s above the cabinets next to the cling film that really doesn’t cling to anything but itself. I’m using a scale all the time, especially when preparing stuff for fermentation, but I don’t understand why you’d want the ounce/pound units on the scale. You go through the recipe before preparing it anyway, and when I do that, I just convert everything to metric on my computer. This way I’m also able to gauge the quantities I need and not go blindly to doing anything the scale will tell me. Wow, didnt know such thing existed! I´m still using an analog (?) scale, but will switch to a digital soon. Ive just made a small equivalency chart to convert cups, inches and so to the metric system, and posted at the blog. I´m always asking myself which country would resign to its scale system. Think no country would do that, do you? Hi David – I love that you used your 20% coupon at BB&B! I seem to always have one in my purse waiting to expire. I bought my first scale about a year ago and I have to admit that before that, I was “eyeballing” 6-ounces of chocolate from my almost-1lb. block. Needless to say, I’m very happy with my investment. 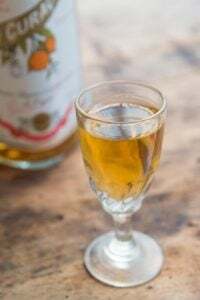 I find myself using it more and more, and I’m also able to try out more recipes – those that just have weights in grams or ounces. Yes to scales! It drives me crazy when commenters on food blogs and forums dither about “investing” in scales. I’m betting at least some of those people have vast kitchens (several times the size of mine) equipped with KitchenAids, Magimixes, expensive coffee machines, ice cream makers … yet they think it’s a major investment decision to spend a few dollars on a scale? I wouldn’t consider not having space for a scale in my tiny kitchen. A flat digital one can easily be slipped in a drawer when not in use. I’ve got two kitchen scales, both manufactured by German company Soehnle. One has a max of 5kg (accurate to 1 gramm) which I use for all large ingredients, such as flour, butter and sugar. And then I have one with a max of 500g (accurate to 0,1g) for bread baking (measuring yeast and such). The large scale can switch between g and lb, the small one between g and oz. Sadly, Oxo is not very common in Germany and you can’t find a broad product line like for example in the UK. I have Soehnle too and it’s great. First I couldn’t choose between all the different scales they offer. I have Soehnle scale too and it’s great. First I couldn’t choose between all the different scales they offer. Wow, didn’t know such thing existed! I’m still using an Analog (?) scale, but want to buy a digital soon. I’ve just made a small equivalency chart to convert cups, inches and so, to the metric system, and posted at the blog. I’m always asking myself which country would resign the scale system. Think no country would, do you? Don’t you just love those BB&B 20% off coupons! I got an inexpensive scale a few years ago there and love it. I also use it for a postal scale…. I like that the OXO has the pull out feature so you can see the read out when measuring oversized objects. I have two scales, both Salter, and use them daily. One is much smaller than the other, and I use it for accurately measuring very small increments. Yes, I bake professionally, but even as a “home cook”, I can’t imagine being without them. If you are going to bake and cook, why not get the best results possible when it’s so easily achievable? 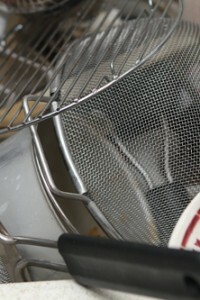 They are inexpensive to buy, easy to use, and absolutely essential in my kitchen. I love the size of your Oxo scale, David, and will be looking for one like it. (Oxo makes some great products. I love their Pop Canisters, and own a multitude of them.) As for scale batteries, I find they are long lasting, but keep a few spare batteries on hand just in case they are needed. I have the same scale and love it! We use it for everything…even non-food tasks. Sadly it errors out when I weigh myself on it. :-) Too much dessert I suppose. I do wish more American cookbooks and recipes were in weights. In Pastry School, we did an exercise where we each weigh a cup of flour. The results ranged from 138 grams to 189 grams, while the actual weight, calculated using molar weight, was 127 grams. However, it is not enough to know the weight of your flour when converting a recipe. Various authors use different “weights.” Example: A recent recipe I saw called for 4 cups (600 g) of AP flour. Which is it? 4 cups is much closer to 500g. If an author decides to convert his recipes at 150g per cup, knowing the true weight of a cup is useless. Some authors suggest a scoop-and-level method to getting a cupful, while others suggest a Fluff,-spoon-and-level method. Scoop-and-level will give about 160g. Fluff-spoon-and-level will give about 135g. I first bought a kitchen scale a number of years ago when I had a child on a medical formula that was measured out in grams. I started using it for other things as well and have since wondered how I lived without one for so long! I love my joseph Joseph scale – it has a big bean shaped bowl that’s easy to toss in the dishwasher, and when the bowl is flipped upside down for storage it looks pretty on the countertop… It also switches easily between a lot of units. It’s more fun than measuring cups, that’s for sure! Why does a every blog make a great case for using a scale…but doesn’t actually help you figure out how to do it? Every food blog that I enjoy has been recommending switching to using a scale for measuring…and it totally makes sense to me. I’m all for following good advice on sites I like. But if you really want to encourage people (ie Americans) to use weights, then it would help to provide recipes in weights. How much is teaspoon for instance? But more importantly, it would also be very helpful to explain how best to convert American recipes to weights. Most of my cook books and blogs are American and give everything in cups….so converting to using weights doesn’t scare me because of the scale itself…but because I don’t know how to make it work for the recipes I use. I, too, love my digital scale. I find myself converting volume recipes to mass using the info from the ingredients section of joyofbaking.com. Sometimes, I’ll notice that the conversions don’t match the amounts listed in recipes from sources like Fine Cooking or America’s Test Kitchen. Does anyone know of the “best” or “most accurate” conversion source? A smart person in my house gave me a digital scale a couple of years ago and it has become indispensable. All buttons are on the top and it easily switches between ounces and grams. I do wish that more American recipes specified weights and think the trend is moving in the right direction. Love all OXO products and those BB&B coupons! It’s amazing the difference a scale can make. Love how you share your favorite things. Putting together a kitchen list for my about to be married daughter and your postings have come in very handy. I would love to bake by weight measurement if only for the fact that I wouldn’t need all those measuring cups, but being in the US most of my favorite recipe sites call for volume measurements. I would like to convert my favorite recipes, but the different conversion sites all give different results. For example, one cup of US allpurpose flour ranges from 125 grams to 140 grams. Do you have any favorite conversion site that you trust? Done. Oxo scale purchased. I thought I was the only one who suffered from “batteries mysteriously dying,” not to mention that said batteries are impossible to find locally and have to be ordered online. So on the strength alone of a David Lebovitz recommendation, I got on Amazon and one-clicked my order for this scale in ten seconds. The simplicity and utility of this act will, I hope, counteract this morning’s overflowing toilet, which did not bode well for how the day would unfold. Thank you, David. You’ve saved me again. My kitchen scale broke about 6 months ago and I bought this exact scale. Mainly for the brand (and the price was right) and I have been happy with it ever since. I, too, could not live without a kitchen scale, and “here here” to less dishes to wash! Thanks for the recap, David. Dear David, I so wish you had posted this a few weeks ago. I have a graveyard drawer in my kitchen full of the broken and the batteryless (hope still triumphing over bitter experience) and the less than accurate but great in a total fix, non battery, variety and I have just bought another, slim and seductive, electronic model that tips when it tares and which does not allow you to read the numbers when anything more than a cup sits on it. Darnation! Now I want the OXO model. BTW, I also have a set of Nana’s scales – they look great, are cumbersome to deal with, don’t store well, take up valuable worksurface, don’t like being moved around, attract dust in their little nooks and crannies that is not easy to clean and the weights rust if you are careless enough to leave them near liquids (which, of course, I am) and cause staining. Have I put anyone off them yet? David, perfect timing, as I’m ready to replace my current scale. It’s an EatSmart Precision Pro Digital. Although it has the 4 different tare options (oz, lb, g, kg), the weight platform is too small, so the plate or bowl or pan hangs over the digital display. Arrgh! Dear EatSmart Folks, please hire a designer, Love, Jodi. Do you find that ever happening with your OXO? It looks like you don’t, based on the photo of the saute pan. Let me know. I’m amazed at the number of people who bake but don’t have one. As you say, it’s pretty essential! This new one of yours sounds great. Mine is nasty – instead of just dying outright, it silently dies as 250g suddenly becomes 223g and so on… and just when you’re about to throw in the towel, that’s when you discover it was the scale’s fault. Now that is a fancy gadget: imagine baking in the dark? Have you tried this, David? I have the same oxo scale! It’s great – and very resilient. I’ve dropped it and the display went all wonky for a while, but it somehow has fixed itself and is working perfectly again! My favourite use of the scale is measuring out butter. No more finicky smooshing of butter into measuring cups and then trying to get it all out again. As long as you can remember that 1 stick = 1/2 cup = 4 oz then measuring butter is soooo easy!! I never thought to use a scale until I started baking bread to sell. While I’m sure my first (scaleless) customers wondered why the loaves might look so different, now they are all assured of getting the same weight of bread. I got an Eat Smart scale after my first cheapie one conked out and it has been great! I especially like the huge read-out, since around 4 in the morning I can start getting a little bleary-eyed. After taking the “Secrets des macarons” class at Le Cordon Bleu this summer I was on a mission to buy a kitchen scale just to make macarons. I bought the same one (also at BBB with a 20% off coupon) and adore it. At first I was unsure how I liked how the screen pulls out for visibility when you’re using a large bowl on top, but that is a genius feature. Very useful not just for precise baking but also for using any non-American recipe. If Costco is any sign of popular culture, I think more Americans are interested in digital scales– saw one (unknown brand) there for less than $20 last weekend. For those asking about conversions: I used to weigh the cup measures of flour etc the first time I made an American recipe and note the results so that I didn’t have to do it again. Nowadays I use the conversion application at Diana’s Desserts and have found it pretty reliable. The big plus is that she converts those infuriating cups of butter for you. I’ve never been able to push cold butter into a cup. But the thing is, when you are measuring with cups and not converting to weight, how do you even know you got close to the weight the author of the recipe used? It depends whether you scooped, spooned, fluffed, tapped, levelled … I don’t see that you’re any better off continuing with cups than doing the weight conversion once, and then sticking to it (or adjusting it slightly in the light of the results). My kitchen scale is one of my most prized possessions. It has made me a better baker! Oxo is a great brand! I had one of their salad spinners for about 6 months and broke the top by using too much force. I emailed them about buying a replacement top and fully admitted that the break was my fault. They asked my mailing address and sent me a brand new one! Dang. That’s some customer service. Customer for life here, whenever a new kitchen gadget is needed. Thank you for this– I’ve been looking at scales for months but didn’t want to buy a crap one. OXO it will be! I recently replaced my old scale which was cumbersome to use with the same Oxo scale. I can’t believe how much more I use it! I’m even weighing out pasta for dinner to make sure we don’t eat too much. I do wish all new cookbooks would include measurements in weights – it makes life so much easier. I’ve had a Soehnle digital scale for YEARS and can’t say I’ve even had a need to replace the batteries. Guess I haven’t relied on it as heavily as others :) In addition to baking I like to use it for accurate measurement of burger patties. Also, BBB coupons can be used at any time. Even if it’s expired! And finally, I’d also like to know of a reliable volume-to-weight conversion site for common flours. The fluctuations between different sources is baffling. I agree it’s odd that in European countries they don’t have a dual scale like in the states. I love my scale and couldn’t live without it. However, I love OXO even more and had no idea they made a scale. It must be new. I honestly believe that anything OXO creates, stands the test of time. It never breaks and is so user friendly. Did you know that they make their products so that those with Parkinson’s disease can easily operate them? Just a little fact that gives me one more reason to like them so much! I own a brand called Breville (Aussie brand) which has all the features you mentioned plus a temperature probe which connects to it. It works without failure but for some strange reason I will weigh something like a block of butter and am pleasantly surprised when yes it is as accurate as the weight stated on the packaging. It’s like I’m suspicious of the scales having a hidden agenda to ruin what I’m making. I must have trust issues. I love my kitchen scale and don’t understand how I ever did without. My current one is a Polder Easy Read with great big numbers and a button on top for switching between ounces and grams. I’ve had it for two years and it still has the original battery. I use it for everything, even for measuring the coffee for my single-cup coffee maker. Best $25 I ever spent! I have to cook and bake gluten free and I too love the oxo scale. It has made my life so much easier. And I agree about the dishes — weighing everything in one or two bowls makes clean-up less of a chore. Also, I can’t tell you how often I switch between US and metric weights now that I’ve switched to weighing ingredients. This is so helpful! Every time I use my European cookbooks, I bring out a very cheap, spring-loaded scale I bought while living in Switzerland 35 years ago. It’s only vaguely accurate. I’m glad I held off buying a cheap-o from Ikea — this one has it all. Thank you, David! any scale that is not sold in the US does not need to have the “Lbs/oz” option. I bought my first kitchen scale a few months ago when I was knee deep experimenting and making various Macaron recipes and trying to find the one that worked best for me. I was intimidated at first but really…it’s just a scale! And I have learned to love it and appreciate baking with more accuracy. I am forwarding this post to my sister who is a great cook but totally thumbed her nose when I suggested that I’d buy she and another sister who cooks a ton kitchen scales for Christmas. You have hit a hot button issue that American cooks have crazy ideas about for some reason. As if it proves you are a really good cook if you are able to eye-ball or guess??? Since buying mine a few years ago I use it all the time and wish more cook books were in measurements. Even Barefoot Contessa will call for “1 onion (one cup)” and yet when I chop my one onion it is 1 1/2 or two cups. Which do I do? The one cup or one onion? I am “just” a home cook and I consider mine a necessity in my kitchen now. I have this exact scale and it’s fantastic, so easy to use. I didn’t realize how great this one was until I tried to use my sister’s. Given that it’s resolution season, this is a great scale to use if you’re trying to watch portion sizes. 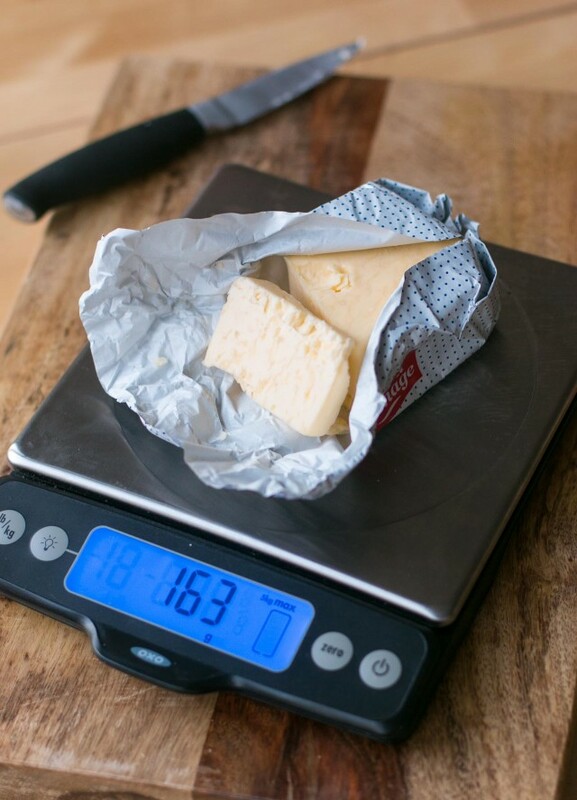 Serving sizes are often noted in grams not ounces even on US packaging so if you’re interested in knowing exactly how much a serving really is, this little baby is already on the counter, ready to go. Off topic, but how about the mention of your hot chocolate recipe? Indeed, it is so much simpler, not to mention more accurate! After years of using a scale I got from a Weight Watchers meetings a lifetime ago, I finally needed to replace it and bought the same scale as you! It was rated as the top on Cooks Illustrated and I love it. I’ve been putting off getting a digital home scale as I’ve had such problems with them in clay studios, but that’s ridiculous, eh? There would not be the problems of silica and alumina and oxides destroying the circuit boards – flour and sugar are probably much heavier and don’t get inside. 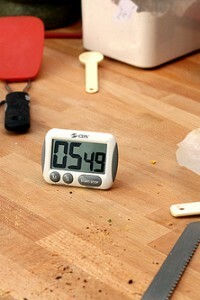 I had electronic ones go haywire in 5 hours, but will try this Oxo brand at home. I really don’t want to lug the manual ones home, so this post is quite helpful. I think it’s the math phobia at work! When I try to get guests to use a digital scale they have a fit ……but are happy using my antique French balance with its set of brass weights. I usually hide the American cups! A scale is a necessity for me when I am doing recipe development, especially since I’m often doing both foodservice and consumer versions of a recipe and as you noted, consumers in the US don’t weigh although restaurant cooks do. I use a scale quite a lot a home too, for the reasons everyone has mentioned. I keep mine in a large Ziploc bag and just set the food on top of that (or in a bowl if it’s something really messy). I can push the buttons with floury fingers and the scale never needs to be cleaned. I started using scales to measure for baking. They are very convenient and allow for consistency. Baking using measurements by volume can be chancy. That being said, I think some people become entirely too dependent upon them. Sometimes, it is not necessary to be accurate down to the gram. For example, making spaghetti sauce. Do the onions really need to be down to an exact measure? For general cooking (where precision does not matter) I still prefer volume measures (and just eye-balling it, at times). Go to any scientific supply house and you can get a great scale, down to .05 gram, tares, converts. Or check in with the Drugdealers R Us supply house near you. Oh, how I love my scale. It’s on my list of top kichen needs (a couple good knives, a few good pots and pans, a couple of good spoons, a good chopping board, and a scale). I ceetainly have more in my kichen than this, but these are my go-to’s. I’m always scaling down recipes for our household of two or using metric-based recipes. 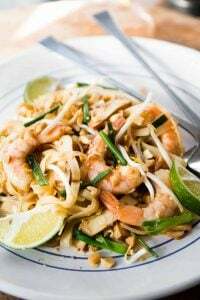 Have I told you lately that I love reading your blog and cooking from your recipes online and your cookbooks? You rock. I have had a Terraillon scale for about 7 years now that converts from grams to ounces with a tiny button on the bottom which means that I have to flip it upside down to do this each time. Also, the button is small and only accessible with an ice pick that I am not sure how I aquired, but the only reason I keep it is for the scale. As soon as this scale breaks, I will go with the OXO and get rid of this ice pick too! Because, honestly, who needs an ice pick? I love my “My Weigh” scale, touted for its accuracy. It weighs up to 8 kilos and can convert to pounds and ounces. 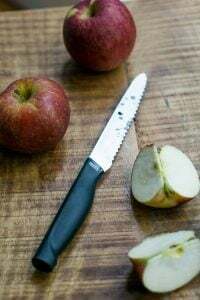 I recently left a comment on one of the top ten food blogs asking for metric weights and was told by the guest blogger in his reply that since most American cooks don’t use weights, he doesn’t give them in recipes. Duh! If we are not given them, how can American cooks get used to using them? Less dirty dishes, as you pointed out, David, greater ease and more accuracy. Get with it, bloggers! I bought a digital scale at the local Lidl here in Berlin for about €8.00. And it does everything you described. So far, the best “investment” in my kitchen ever. I was scared of scales, thermometers and smart phones. Now I am no longer scared of scales. I’ve been wanting a kitchen scale. Thanks for the tips! Oh, and I won’t buy anything at BB&B without one of those coupons! I have a kitchen scale and I love it plus it was only $10 so that’s why I purchased it. After reading that yours keeps memory when it turns off makes me very jealous because mine doesn’t do that and I’ve had a few baking melt-downs because my scale kept turning off on me! Perhaps I should invest in a better scale? I didn’t realize until I read your blog today that I could put an empty bowl on my scale, hit the button again and the digital read out would go back to zero — ready to measure ingredients…. In a world full of distractions, weighing ingredients makes baking so much less fraught with proportional dangers. I can’t begin to count how many times I have lost count while measuring, say, 6 cups of flour, and have had to start over. Using a scale eliminates all of that! If you really want things in Metric and Imperial then look to the UK first. I have just bought some new digital scales from Aldi though, in Spain. One thing I have found some Americans are not familiar with, is that for example a UK pint and American pint are not the same at all, there is quite a difference, so for liquid measures metric is still easier. I just came from Serious Eats where someone posted a complaint that all the recipes were in weights and that this was “fked up” since no one he/she knows uses ounces (and probably not grams either). It’s taking all my self-control to not respond because of so many mean things that I can write plus I think this commenter is just a troll. Anyhoo, I love my kitchen scale, could not consider baking without it, and may buy another with a higher weight capacity. It’s hard to get people to change their cooking and baking habits and I’m fond of my cups and tablespoons as well. 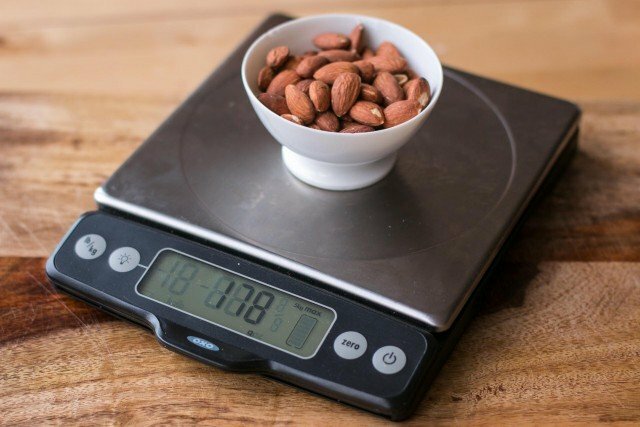 But the scale is easier and better, and there are some things that you simply need to weigh – like fruit and chocolate, and measuring cups won’t work on those. This scale isn’t the least-expensive (I paid around $45 for it), but one can get a cheaper one for less than $20. Although I replaced a few of those, so they really weren’t much of a bargain. And yes, on the higher weight capacity. My last scale went up to #5 which I thought would be enough, but I was always over the limit, and this one is #11 and has an indicator that let’s you know how much more stuff you can put on it. I want to add that converting volume measurements to weight in older American cookbooks, you have to read their text (if they have it) that advises how the author measures their ingredients in order to get the most likely weight for conversion. As one of the commenters above mentioned, some books advice the scoop and sweet method of measuring flour into a measuring cup, some advise spoon and level. 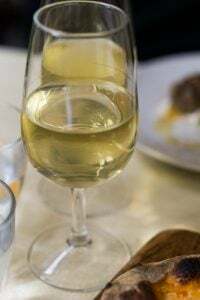 Most of the comprehensive cookbooks, for example; Better Homes or Joy of Cooking, have some sort of technique instruction in a separate chapter or a foreward where the technique applies. I always try to use the cookbook advice when makeing one of their recipes and the weight of what you come up can be noted on the recipe or deleted/changed if you notice that if was off in the final product. Frankly, I find (home) baking more forgiving than many will have you believe because the weather or your location can affect the weight of some ingredients by adding/subtracting moisture and elevation can throw off leaveners and make you think it was something else that was wrong. Even professional kitchens aren’t always a controlled environment and can get by with minor variations…just like home cooks! I have the same scale. It’s wonderful. Couldn’t live without my kitchen scale. I own an escali. It is the best. Measures in volume and in weight. I hope one day this cup/ tablespoon business will dye out. First, my best wishes for 2012. As a French who recently moved to the US, I face myself with the reverse problem. I bought myself a nice set of cups and spoons, but when I start an american recipe I face a terrible dilemma : scoop or use a spoon ? Since I have not been able to solve it, I convert the recipe, and as mentioned above it is sometimes not that easy or I do not try it. I would love American magazines such as cook’s illustrated or newspaper (SF Chronicle or NY Times), who claim to be serious about food to indicate weights more widely ( I could do with oz ;)). I have a small kitchen with waaaaaaaaay to many things in it . . . .who doesnt! I bought this scale about 1 year ago and cant imagine not having it. It is the best for making layer cakes to measure the batter between pans. I really wish more cookbooks were written with units of weight . . . .there are SO much fewer dishes to do – everything is precise. The tare feature is the best. Now if someone woudl tell me what the universal weight of one cup of flour is . . . . . .I would be most grateful . . . .I have seen it range from 125 – 160 grams . . . . .
After I stopped working in a professional kitchen I got out of the habit of using a scale. My bad. I couldn’t imagine life without one now. For fun, you can also weigh your cats. Not that I’d ever do such a thing. Weight Watchers makes scales that weigh up to 3kg and switch easily from oz to gms. Useful for many things besides those WW points! When we moved to Germany I HAD to get one to use my new (German) cookbooks and immediately recognized the advantage of measuring in the bowl. And like others I really wish US recipes would use weights more often, partly because then I wouldn’t have to translate from cups to metric so often when friends request my US recipes! OH! And comes in really handy when the grand kids are here and question whether I’ve divided a treat just right. They’ve found I have a good eye for equality. 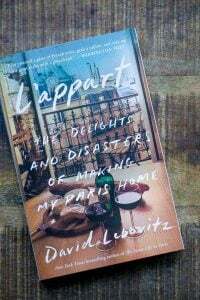 David, what other kitchen tools did you bring to back to Paris from the US? I’m visiting my parents in the US right now and I’m trying to think of a few things I should take back with me to Paris (I always come up with a multitude of items when I actually need them, but later forget). I find the American terror of the scale a bit bemusing – love the comment about the smartphone! I guess it’s what you’re brought up with. I do have an ordinary scale, of course, but the scale I use 90% of the time is a mini-scale that weighs up to 500g. Not only is it more precise for smaller amounts than a larger manual scale (a digital one is ALWAYS out of batteries! ), it’s incredibly convenient. I keep it on the windowsill above the bench and it’s just at the right level to easily read the dial. I actually just bought a scale and have been a little afraid to use it, I admit. It’s not that I think it’s difficult, I’m just not totally sure how to figure it all out yet. But I really love the point about smartphones… it’s true. I’m not afraid of any technology but a little scale scares me? I’m setting first-time-scale-usage as my weekend project. Thank you for a specific recommendation for a scale. I have been wanting to get one, but wanted advice first. This is one of the best things about blogging — personal experience+communication=more informed choices. Forgot to mention, for those of you who are really gadget minded or want even greater accuracy for small amounts like salt and yeast, you can buy jewellers scales really cheaply. Tiny, compact, oh so accurate, I use a little silicone muffin case on top to put the ingredients in. I really don’t understand why Americans are frightened of sets of scales! I do have measuring cups for some of my cookbooks are in those but my favourite measure is Metric. For those who are trying to convert recipes – when making one from cup sizes, I measure out the cups into a bowl on my scales and note the weights as I go. Then, once the mix has been made and has been successful, I can write the weights in the recipe. If the mix is a bit loose or dry, I can add or subtract a few grams either way to get it right. Thanks for this post. I’ve been looking at scales ever since a holiday baking day withh a German friend. My scale doesn’t do metric. I love my kitchen scale almost as much as I love those 20% off coupons! After a few months in Paris I was kicking myself for not bringing it. Equivalent ones seemed more expensive over there. Not only is a scale indispensible for European recipes, it’s great for making coffee. Intelligentsia Coffee (and others I’m sure) make brew guides that go by weight; for my French press, I take the weight of ground coffee and multiply by 14.7 to figure out how much water to add. It’s much easier than it sounds. Agree with you 100%! This is the most awesome scale. It was the first I bought, mostly because it was all Bed Bath and Beyond had (with a 20% off coupon! ), but I knew right away that it was the only scale for me. I bought a digital kitchen scale a few years ago and LOVE it, especially since it was only $10.00. After reading that your scale keeps memory when it shuts off automatically makes me jealous because I’ve had a few baking melt downs because mine has turned off and it doesn’t keep the weight. Perhaps I need to invest in a better scale? I’m not afraid of scales, always sort of meant to get one for baking (it has to be more consistent), but was only pushed to do so when YOUR post about Nopi in London triggered a Yotam Ottolenghi obsession. His first book does not have a US version. Oxo scale impulse purchased at T.J.Maxx ($19.99). I am, however, still afraid of candy thermometers. But since marshmallows are my single favorite food, my New Year’s resolution is to get a thermometer and make them. Only 353 days left to accomplish this. “…in case you want to bake something while everyone else in your apartment is sleeping and you don’t want to wake them up.” Hilarious. I just can’t use my beaters with the front lamp. Too noisy. I have the same scale and love it. But why in the world would you ever need to detach the led face a la remote control? Afraid of scales? Curious. Pressure cookers, yes. Mandolines, yes. But scales? HURRAH! This has become such a mission with me. Cups seem so silly and inaccurate now. When I switched to writing my recipes in grams, I had a few disgruntled American commenters. However, I’ve been flooded with grateful European and Australian readers, saying they can now make our recipes more easily. I like being part of the world. David, as always, you inspire me. Todd, the detachable face is for when you put on the scale a container wider than it and the container blocks the view of the readout. I couldn’t agree more about scales. All the while I lived in the States I considered myself definitely not a baker–nothing I baked seemed to work out with any reliability. A move to the UK and the purchase of a few UK cook books prompted me to try again. For anyone put off by baking, a scale makes it a breeze. Now if only the Gourmet cookbook could be reissued with metric measurements, my life would be complete. I don’t have the exact model as yours but a one with similar functions and it is really the best thing ever. As long as the battery doesn’t run out on me when I’m midway baking, I am happy! DID I miss something? Does this scale take batteries and if so, what kind? purchased at least 10 years ago. The little buttons always get dirty and STICK. The OXO looks like the answer, thanks for sharing. I have the same scale! My only complaint with it is the battery usage or battery indicator, and I’m not even sure which. It seems like it’s always on the verge of battery death and I live in fear that when it goes to sleep, it will not wake up and remember where I was! Wow, that sounded really dramatic. Maybe a bit less coffee tomorrow morning. Regardless of the battery issue, I agree completely — solid tool. Jess: You might be referring to the horizontal bar on the right of the screen (on the scale)? I’ve not seen a battery indicator light up on mine, but that bar lets you know how much weight is on the scale, and how much more you have to go before it reaches its limit. Perhaps put something on there to check it out? geraldine: This scale does take batteries and you can check out the link I gave to the Oxo page to give you more info about the types of batteries it takes. Little Chan: Thanks – I bought my previous scales when it was very hard to get products from the UK in France. Now with the internet, it’s easier. Kay: I keep extra batteries on hand, but have switched mostly to rechargeable batteries. They used to be not great, but now I find them just as long-lasting as regular batteries. Plus the cost isn’t prohibitive and in the long-run, it’s probably more economical (and ecological) too. It took one cooking lesson in Paris to introduce me to the whole concept of the kitchen scale. I rushed right out after that to purchase my own, and haven’t used a measure cup since. It’s so much more accurate! Merci David, I will have someone bring me one from the US. The measurement issue is such a crucial and problematic one, will greatly help in my classes ! Your blog is the best ! Le meilleur …. Dear David – I’d never heard of you until a NY friend told me about The Perfect Scoop last year. I bought it straightaway, loved it, and it gave a new lease of life to the Gaggia machine I had been rather neglecting. From there I discovered your brilliant blog which has been one of the first places I look on my laptop in the morning over my orange juice and porridge. It’s wonderfully unpredictable, but what I really like about it is that though you are obviously a complete food pro, you NEVER write down to us mere mortals, and present yourself as a completely average guy who just likes his food. This piece about scales makes so much sense – it’s beyond me why so many Americans use those ridiculous cups – I mean, a CUP of butter? – please…. I must also thank you for alerting me to the Kitchenaid pasta attachments, which I had no idea about. They are sadly out of stock at Amazon UK at the moment but they are on my list…. Thanks for your great blog – please keep it coming….. I love my kitchen scale too! I weigh everything now whether I need to or not. : ) My scale does not, however REMEMBER where it was, which would be quite handy. I worked in a high end chocolate shop for a couple of years, where I became familiar with scales and the ‘tare’ setting. I remember when I was first being trained and one of my co-workers would ask, “Did you remember to tare the box?”, and I was hearing ‘tear’ the box, -it was quite confusing for awhile, as I was wondering why in the world I would ‘tear’ the box. It reminded me that there is always a ‘lingo’ with whatever job you’re working at, and it’s just all part of the learning process. David, As a cooking instructor I always urge my students to purchase a scale. I have had a digital Salter (maker of many models) scale for years. It toggles from grams to ounces and to fluid with a quick pulse. I’ve had it for 10+ years and have only changed the battery twice. I love it. Can’t imagine baking or cooking without it. This one was about $35.00 and worth every penny. Anne: Using “sticks of butter” is kind of an old-fashioned measurement and I presume most recipe writers no longer use it. David, I have to disagree with the “sticks of butter” being old-fashioned, “The Pioneer Woman” would be one famous blog that goes through sticks of butter sans fine, but than again, maybe the whole West Countryside is “old-fashioned”? Wolfgang: Since butter isn’t necessarily sold in sticks anymore, most American cookbooks, and baking books don’t use sticks of butter as a measurement and few editors would suggest that as a form of measurement, hence the term “old-fashioned.” (One could choose a different word, I suppose, but I chose that one just because I’m especially busy with other projects at this time and wanted to respond to the reader who asked.) In spite of my love for many German pastries and foods, I’m unfamiliar with German cookbooks so don’t know how measurements of butter are expressed. I’m a fan of Ree, the Pioneer Woman, and she is writing for her audience and how showing how she cooks, which is great. However I do suggest avoiding “sticks” of butter as a term of measurement since it’s not applicable everywhere because butter isn’t always purchased in stick-form, and most recipes nowadays use weight and/or volume. I love the blog, it makes me howl. I introduced the hubs and kids to it via the “visit to a Paris market” post and they loved it too. I had a long comment about my experiences with Numericable that I tried to send you last week but I overran the character limit on the blog. Suffice it to say that I now know what you mean!!! Running out to purchase a kitchen scale. All these years without one!! As a Brit, it took me ages to work out how the American cups work! The main thing seems to be to work in one type of measure only for a recipe – they don’t quite work out otherwise. As a brit I find it very hard to understand why any cook wouldn’t have kitchen scales, I thought they were compulsory if you want accurate measurements. I have the most amazing Salter scales that do metric, imperial, liquid or solids and when not in use hand on the wall showing the time. Great bit of kit. Great blog and thanks so much for the advice on the scale. I’m often converting Swiss recipies and need something that works well, and I like having one item that works for everything. Less IS more. I do not own a scale, but I swear by the French measure glasses with everything (flour, sugar, liquid) on them. Definitely prefer a metric recipe in any case! But I am on the other hand of the scale: I use spoons and my own judgement since I move around a lot and have no way of buying a new scale wherever I go! My German friend has a very nice kitchen scale which, now that I think about it, she said she bought cheaply in a French supermarket…It measures weight with an arrow on a dial, ie, not requiring batteries! And it has a little metal bowl to measure the ingredients in that can be easily removed to pour the measured ingredient into your mixing bowl. I think it is my favorite scale ever. I have the same scale and it is great. I also use it as a postage scale. I have this scale as well. LOVE IT! Use it all the time. Have no idea how I managed before it, especially when using a recipe given to me from my Spanish friend-who of course, uses weights in grams instead of measurements. I’ve only started using the scale recently, though I have a hard time writing posts with the weights. Having less dishes to wash is a definite added plus! Off topic, since the comments are closed on your posts from awhile back, I just made your cream cheese brownies and LOVED them. So did my piano students, who gobbled them up. Thank you for such a great recipe. I love my Salter and find it’s a wonderful way to get a math lesson in when cooking with my 7-yr old. In Malaysia/Singapore, I grew up baking with scales. My mother used to bake with an analog scale! Till this day I don’t understand American’s refusal to use weights, fumbling (and sometimes failing) with measuring cups instead while at the same time being such pain about recipes in weights. Here we get good ranges of digital ones, especially from the Japanese Tanita. 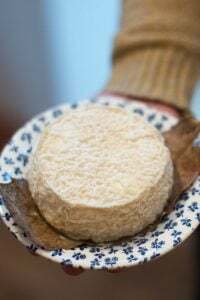 My conversion switch is at the back but most of the time I don’t have a problem as a good recipe should either be in both grams/ounces or either one, at least in my books. The OXO scale looks good. And I agree with you. Using a scale would mean lesser dishes to wash. Yes the OXO is a great scale. But if you really want to get into the semi professional have a look at the My Weight KD-8000. The selling point for me was it can measure in Baker’s (or any) percentage. I.e. you weigh your flour, save it as 100% and then all ingredients are measured based on these 100%. I.e. if you use 60% water or 2.5 % salt you just add water until it shows 60% etc. Makes it a breeze to scale recipes. Also great for cheese making where you need a lets say 20% salt brine. Fill a bowl with 2 liter water (2 kg) save it as 100% and add salt until it shows 20%. No calculations and mis-calculations etc. It also features battery or AC adapter, programmable switch off and – yes – switch between ounces and grams. In New Zealand we use weights, but I was taught at school the approximate cup equivalents in case of necessity. For many years I didn’t own a set of scales and got by converting things to cups and spoonfuls – I also got quite good at estimating amounts in portions-of-a-full-pack. E.g. when you need 100g of raisins and the packet is 250g. Althought it’s handy to be able to estimate this way it is still estimating, and it’s always puzzled me why Americans would have this as their “official” way to do things. Oh! AND I love that the surface detaches so I can wash it. Nothing grosses me out like having egg drop in the cracks of a scale I can’t open to clean. ECH! I just replaced my old scale with a Philips digital one bought off Amazon.fr for Christmas. It has many of the same features. The toggle button for g./oz. is brilliant! I have the same scale and absolutely love it! The pull out feature is great when I’m weighing something on a plate or in a large bowl; I love the backlight. I love everything about it. I am strangely satisfied that I have the same scale as you. I’ve had it for 2 1/2 years and I haven’t had to change the batteries yet! I love it. Scales are a great addition to the kitchen. I can’t decide if I like the scale, or the infrared thermometer more. I never thought to just plunk the pan right down on the scale, so thanks for the tip.